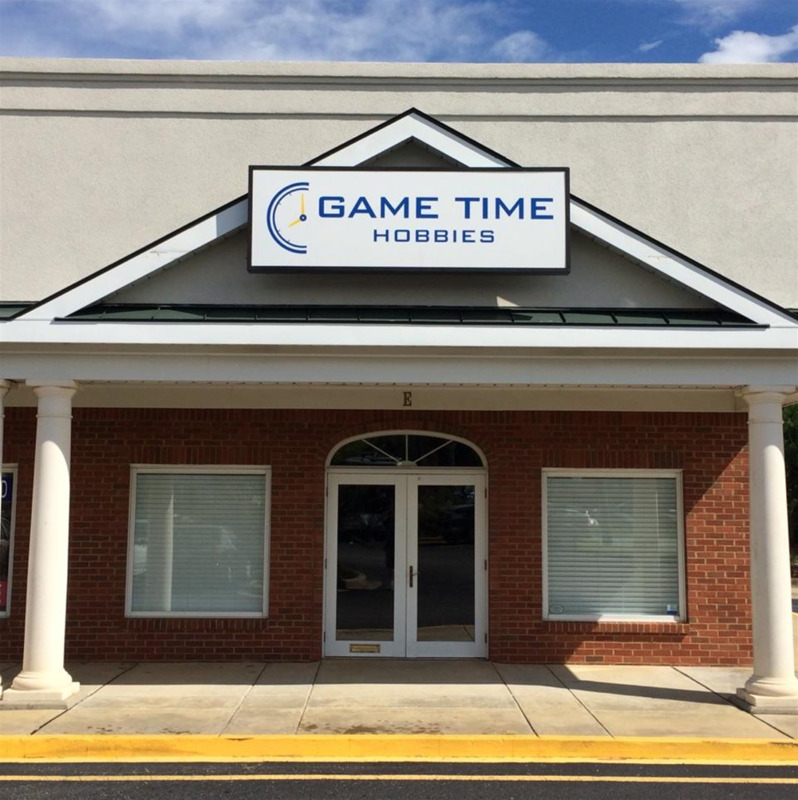 Our Family friendly store atmosphere offers a great place to play games with friends and fellow gamers of all ages. If there is a game you want that we don't currently carry, We are able to special order it for you! Just let us know! If you have a play group that is looking for a free space to play look no further. We offer a wide variety of drinks and snacks in addition to ample table space. 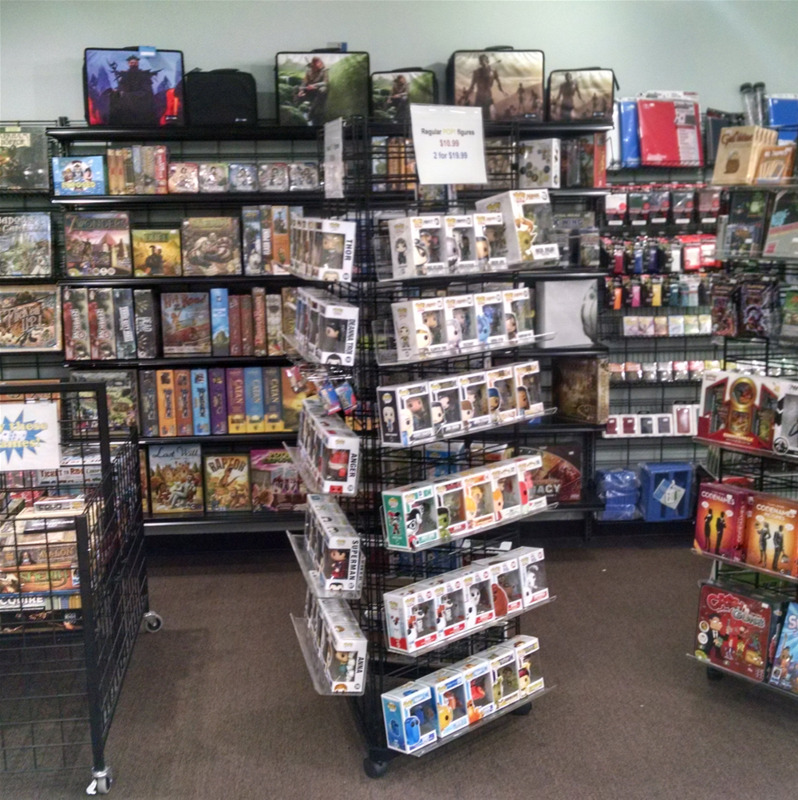 We do demos of many fun, affordable games that are free to learn. 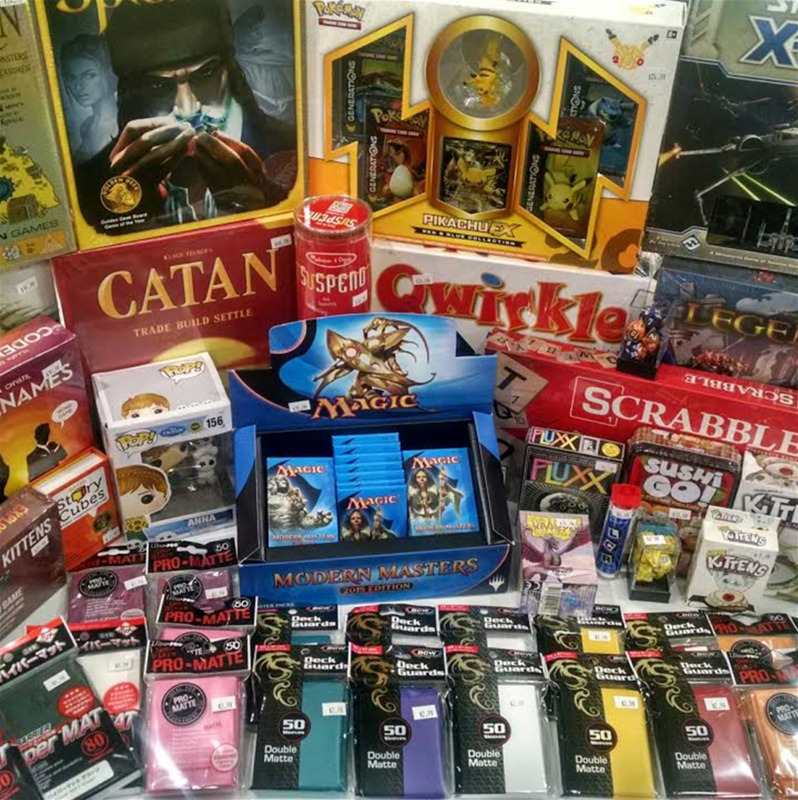 If you have ever wanted to learn a new game consider stopping in for one of our weekly board game nights every Thursday from 5 to 9 pm! If you've ever wanted to learn how to play Magic: the Gathering stop in for a free starter deck and learn how to play any day of the week. In addition to the many games we carry, we also have an extensive collection of Magic the Gathering singles. 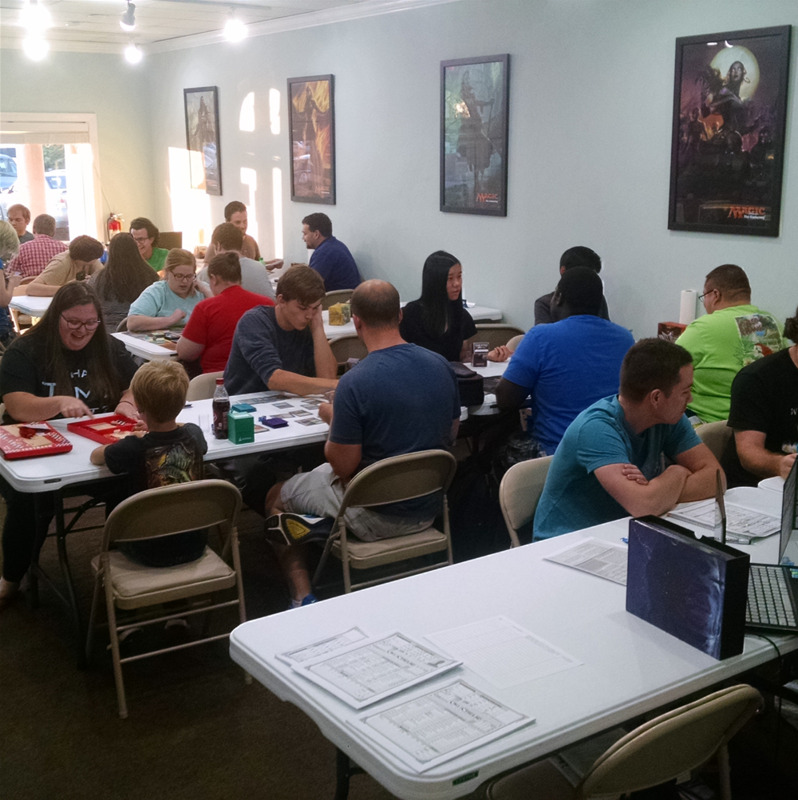 We run weekly Magic: the Gathering tournaments most days of the week, check our calendar of events for more information including pricing and start times!